LAWRENCE – Yong Zhao, Foundation Distinguished Professor in the Department of Educational Leadership & Policy Studies at the University of Kansas, has received the 2017 Outstanding Public Educator Award, granted by the Horace Mann League of the USA. This award recognizes an outstanding national leader and advocate for his or her contributions to improving the nation’s public schools. The Horace Mann League, founded in 1922, exists to perpetuate the ideals of Horace Mann, the founder of the American public school system. Its basic purpose and activities are to strengthen public schools. More information about the league can be found here. The Outstanding Public Educator award was presented, among other awards, at the Horace Mann League’s annual meeting and luncheon March 3 in New Orleans. 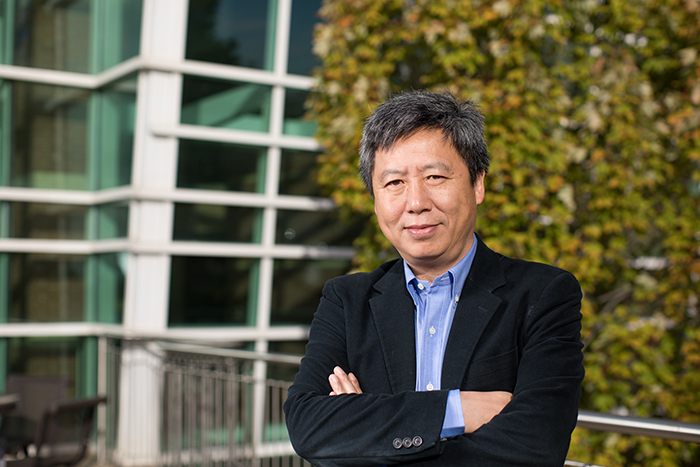 Zhao received his doctorate in educational psychology in 1996 from the University of Illinois at Urbana-Champaign, and his work focuses on the implications of globalization and technology on education. He has published more than 100 articles and 30 books. Zhao also serves as a professorial fellow at the Mitchell Institute for Health and Education Policy at Victoria University in Australia. The Department of Educational Leadership & Policy Studies is housed in the School of Education. The School of Education is a nationally ranked school, preparing educators and health/sport/exercise professionals as leaders.